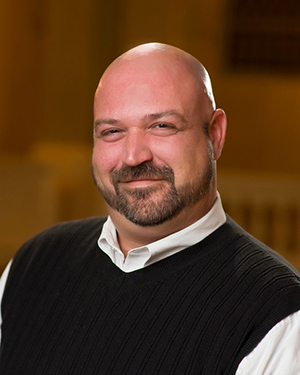 Brett Ellison is Director of Rentals & Events for Cornerstone Center for the Arts and has been serving in that role since 2004. Prior to joining Cornerstone, he was the co-owner of More Than Food, a family owned bakery and catering business that his grandmother had started in 1984. He is currently finishing his Associate Degree in Hospitality Administration at Ivy Tech Community College. He has previously served on the Advisory Board for the Community Center for Vital Aging. He currently serves on the boards of Heartland Community Services Foundation and Muncie OUTreach.